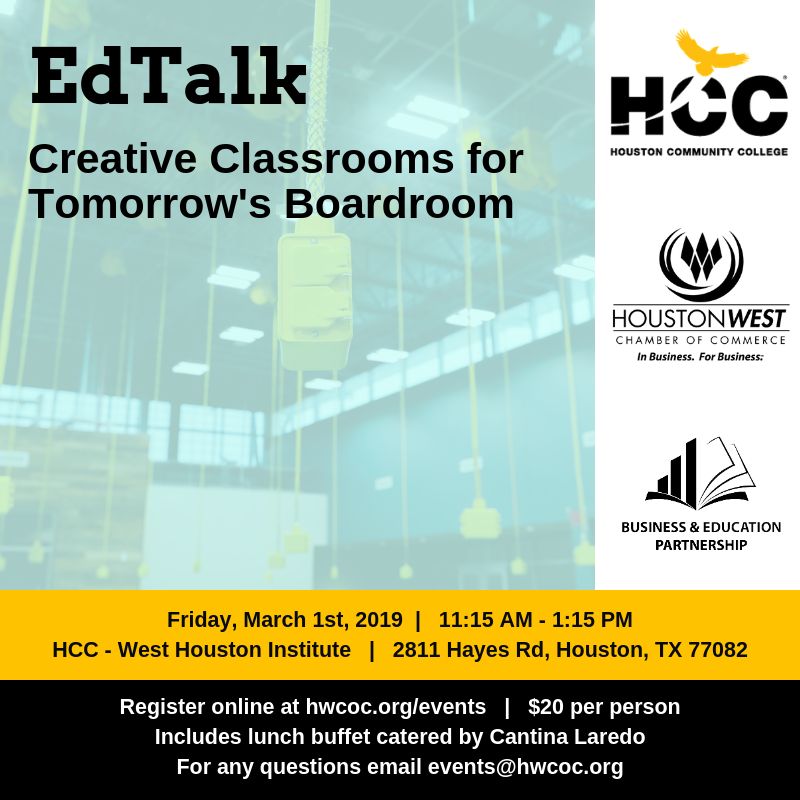 The purpose of this event is to facilitate a conversation regarding creative and innovative classrooms and how that translates into dynamic contributors to tomorrow's workforce. This event is organized by the Business & Education Partnership Committee. The event is sponsored by the Houston Community College.